This Basic Fondant recipe is a very traditional, classic fondant recipe. It's kitchen alchemy of the best sort--you start with sugar, water, and corn syrup, and end up with a white, pliable, sugar paste. This type of candy making has gone out of favor in recent years, but I think there is something to be said for techniques and recipes that have withstood the test of time. 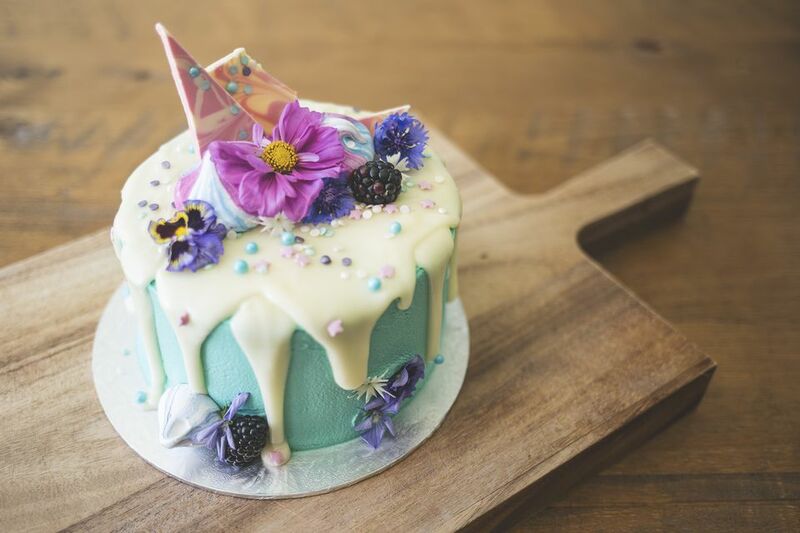 The fondant that you'll get from this recipe is smooth and soft and can be used to cover cakes, or used as the basis for fondant and cream candies like buttercreams. If you are looking for a faster method, I suggest trying Marshmallow Fondant instead. Be sure to check out the photo guide to making homemade fondant! Prepare your workstation by setting a large baking sheet on a sturdy counter or table top, and sprinkling it lightly with water. Combine the sugar, water, and corn syrup in a medium saucepan over medium-high heat. Stir until the sugar dissolves, then cover the pan and allow the sugar syrup to boil for 2-3 minutes. Remove the lid, and continue to cook the syrup, without stirring, until it reaches 240 degrees Fahrenheit (115 C). Pour the sugar syrup onto the prepared baking sheet. Allow it to sit at room temperature for several minutes. After 2-3 minutes, lightly touch the syrup with a fingertip. When it is warm but not hot, it is ready to be worked. Dampen a metal spatula or dough scraper with water, and use the scraper to push the syrup into a pile in the middle of the sheet. Using a dampened plastic spatula or wooden spoon, begin to “cream,” or work, the fondant in a figure-8 pattern. Continually scrape the fondant into the center, draw a figure-8, then scrape it together again. At first, the fondant will be very clear and fluid, but it will gradually become more opaque and creamy. After 5-10 minutes, the fondant will become very stiff, crumbly, and hard to manipulate. At this point, your fondant can be used for melting and pouring. If you want to make flavored fondant candies, it is best to “ripen” your fondant for at least 12 hours to obtain the best flavor and texture. To ripen the fondant, place it in an airtight plastic container, press plastic wrap directly onto the surface of the fondant, and seal the lid on tightly. Ripen the fondant at room temperature, or if it is hot, in the refrigerator. After ripening, the fondant can be flavored, rolled, and shaped in whatever manner you wish. If it is stiff, you can always knead it by hand on a surface dusted with powdered sugar, until it is easy to manage. This recipe produces about 3/4 lb fondant. Click Here to View All Fondant Recipes!